If you already know the excellence of this product and are interested in buy a RKM MK80 Allwinner A80 Octa Core can do it directly on the link. If not, we invite you to continue reading this article to discover the full potential that this great product can offer. As we can see on paper, this RKM MK80 Allwinner A80 Octa Core has very interesting features that make it one of the best buys when opting for an Android TV. 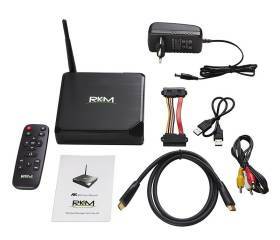 The RKM MK80 Allwinner A80 Octa Core is implemented with the extended version of Android, Android 4.4.2. This operating system allows better management of memory, this being 2Gb, this will give us more fluidity and speed when working with different applications, and the time to move from one application to another. This version guarantees support with the vast majority of applications that can be found in our favorite store. Besides this RKM MK80 Allwinner A80 Octa Core hasOTA update, which we always update our device without many headaches. This RKM MK80 Allwinner A80 Octa Core comes integrated with this powerful SoC, the Allwinner A80, the latest in the company Allwinner. It features technology called Big.little that allows you to make intelligent use of their eight cores, being able to have eight up to meet high demands on resources and turn those not needed at a given time, so you always have enough power with intelligent consumption. We have no doubt that this type of SoC we will find more and more in these devices and many others who need an intelligent management processor. The RKM MK80 Allwinner A80 Octa Core integrates this powerful processor consisting of 4 cores high performance Cortex A15 to 2016MHz and other 4 cores Cortex A7 to 1320MHz. As mentioned before, these cores will be launched or turn off depending on the demand for resources, so get at all times power and speed need for a very pleasant experience. The RKM MK80 Allwinner A80 Octa Core has this powerful GPU 64 cores will give us an excellent quality when it comes to managing our graphics, either in game or in applications. Supports OpenGL ES 3.0, OpenGL 3.X, DirectX 9.3 / 10, OpenCL, RenderScript, PVRTC, PVRTC2, so there will not be problems in managing our 2D and 3D games. Also this ensures us to use resolutions of up to 4K at 30fps, which can have all the experience of cinema in the living room of our house. The RKM MK80 Allwinner A80 Octa Core has great connectivity to all that we need. About wireless have dual band so if we have a dual-band router, we have a fast and stable connection. As is usual in such devices also have Bluetooth 4.0 to connect to other devices with this technology as webcams, keyboards, etc. 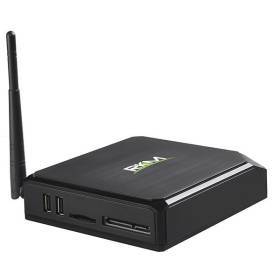 As for physical connection is concerned, we have 2 USB ports and one USB / OTG to connect your computer or other peripherals. Of course we have the HDMI 1.4 output to take the best resolutions on our television screen. We also have a Gigabyte Ethernet connection, so that we can connect this Android TV to your router via a LAN cable and get a faster data transfer and more stable internet connection. The RKM MK80 Allwinner A80 Octa Core has 2Gb of RAM, more than enough to handle the various applications that we have in our device, getting a pretty good flow in combination with the operating system. It also has an internal capacity of 16GB on a single partition, so we’ll have enough to store large amounts of multimedia files and applications for our enjoyment space. And if for some reason this capability was not enough, we must not forget that we have the possibility to increase using SD cards up to 64Gb or using our SATA connection can couple it an external hard drive. As we can see, the storage capacity of this RKM MK80 Allwinner A80 Octa Core is not a problem. 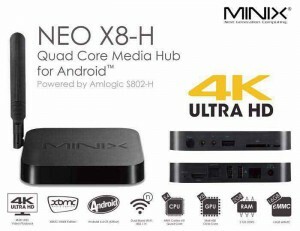 The RKM MK80 Allwinner A80 Octa Core offers more possibilities when connecting to other devices in the house. 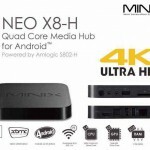 It has DLNA support, so we can connect our Android TV with other devices in home network that has the support and power file sharing and multimedia content so simple. It also has support Miracast which gives us the possibility to mirroring from your mobile or your tablet compatible to Android TV. You no longer need our friends have to stick your head in a tiny little screen to see what they want to show them, they can see it quietly on your TV screen big. What is the RKM MK80 Allwinner A80 Octa Core? The RKM MK80 Allwinner A80 Octa Core offers you the possibility to do all that you do with your smartphone or tablet but bigger screen and with the convenience of being able to do it from your couch. We speak freely surf the internet, make use of applications and games that can be found in our favorite store and play all kinds of multimedia content. 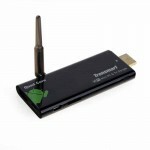 Everything needed to make our TV a smart tv television. With the RKM MK80 Allwinner A80 Octa Core we can watch movies and series with exceptional image quality and sound, even at resolutions up to 4K, which have now become so fashionable. With its pre-installed XBMC player we see great content video formats such as H.265 or mkv both are being used lately. With the RKM MK80 Allwinner A80 Octa Core you can share all your multimedia content to and from your TV, either through DLNA technology or by mirroring on your phone or tablet. Of course you have the possibility to play that content either because they are stored in one of the forms of storage available to us, or that we can do streaming from the network without freezing. As we can see, the possibilities are many, since this RKM MK80 Allwinner A80 Octa Core offers the least we can find in the market to have an experience as pleasant as possible from the comfort of our living room. With the RKM MK80 Allwinner A80 Octa Core we will not have any problem when using any application or game you can find at our favorite store. Thanks to its 2Gb of RAM and processing power it has, the speed and fluidity when working with our Android TV will be exceptional. Therefore we can not only use it for the most basic functions like check email, surf or watch our favorite series or movies, but we can deal with applications that require a lot of resources. With the RKM MK80 Allwinner A80 Octa Core we can also perform tasks such as video conferencing just have a webcam, microphone and, of course, some application types Skype. By having dual band Wifi connection or Ethernet Gigabite, and 2Gb of RAM, the video will be smooth, crisp and without uncomfortable image freezes. Will be a great pleasure to communicate with family and friends watching on the big screen of your TV. With the RKM MK80 Allwinner A80 Octa Core we can enjoy both 2D and 3D games without graphics or gameplay problems because the SoC that integrates incorporates a very good GPU for this purpose. Also if the game in question requires us too, we have the support of your CPU that will launch its 8 cores if necessary. Of course this Android TV offers the possibility to spend hours of fun for the whole family with the convenience of doing it big at home. Internal memory type Flash and not eMMC. There are many models and brands that we can find today in the Android TV’s market, but certainly this RKM MK80 Allwinner A80 Octa Core will be one that will not leave you indifferent. It has an amazing connectivity even allows us to connect an external hard drive to avoid storage problems. 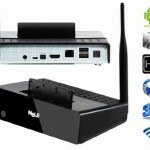 Integrates a SoC that is setting trend in new products and seamlessly manages resources to avoid excessive consumption. It supports playing all kinds of content and formats, including the newest, so we will have no problem in playing our multimedia files. In short, if you are looking for a real alternative to SmartTV with total freedom to do what you want and more economical without having to change television, this is a highly recommended product. 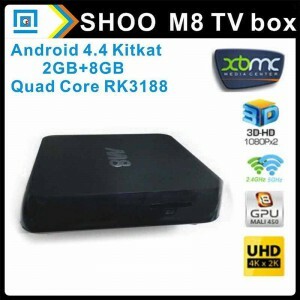 In this section we will give you the relevant information you need for your RKM MK80 Allwinner A80 Octa Core and everything to help you to improve your experience with this amazing Android TV. If you need information about this Android TV from the manufacturer or even get the firmware factory if you are perhaps been “bricked” your device, you can visit the official website of Rikomagic from this link. There is a countless plugins for XBMC with whom you do will add many features to this program. 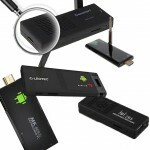 On our site we have an article about the best applications for Android TV. At the moment we have not found any ROM for this RKM MK80 Allwinner A80 Octa Core. As we find some, we’ll link to you so that you can download. 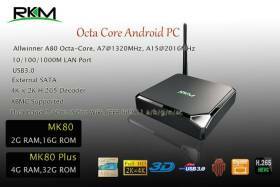 Here we have a very good point in favor to this RKM MK80 Allwinner A80 Octa Core. Comes rooted from factory, super user and SuperSU application pre-installed so we can manage the applications that are preinstalled on this Android TV. Where to buy a RKM MK80 Allwinner A80 Octa Core? 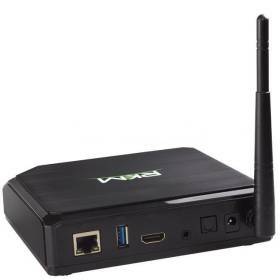 Being such a new product, with these great benefits, there are many online stores that are offering, but from BuyAndroidTVBox.com we recommend you to buy it in Amazon.co.uk, one of the most recognized online shops both for its delivery service as its after-sales service. Here you have a link if ye have decided to buy a RKM MK80 Allwinner A80 Octa Core.